Welcome to the second edition of the AWS Serverless ICYMI (in case you missed it) quarterly recap. Every quarter, we share all of the most recent product launches, feature enhancements, blog posts, webinars, Twitch live streams, and other interesting things that you might have missed! The second quarter of 2018 flew by so fast that we didn’t get a chance to get out this post! We’re playing catch up, and making sure that the Q3 post launches a bit sooner. Missed our Q1 ICYMI? Catch up on everything you missed. So, what might you have missed this past quarter? Here’s the recap…. In April, AWS AppSync went generally available (GA)! AWS AppSync provides capabilities to build real-time, collaborative mobile and web applications. It uses GraphQL, an open standard query language that makes it easy to request data from the cloud. When AWS AppSync went GA, several features also launched. These included better in-console testing with mock data, Amazon CloudWatch support, AWS CloudFormation support, and console log access. AppSync expanded to more Regions and added OIDC support in May. AWS Lambda made Node.js v8.10 available. 8.10 brings some significant improvements in supporting async/await calls that simplify the traditional callback style common in Node.js applications. Developers can also see performance improvements and lower memory consumption. In June, the long-awaited support for Amazon SQS as a trigger for Lambda launched! With this launch, customers can easily create Lambda functions that directly consume from SQS queues without needing to manage scheduling for the invocations to poll a queue. Today, SQS is one of the most popular AWS services. It’s used by hundreds of thousands of customers at massive scales as one of the fundamental building blocks of many applications. AWS Lambda gained support for AWS Config. With AWS Config, you can track changes to the Lambda function, runtime environments, tags, handler name, code size, memory allocation, timeout settings, and concurrency settings. You can also record changes to Lambda IAM execution roles, subnets, and security group associations. Even more fun, you can use AWS Lambda functions in AWS Config Rules to check if your Lambda functions conform to certain standards as decided by you. Inception! 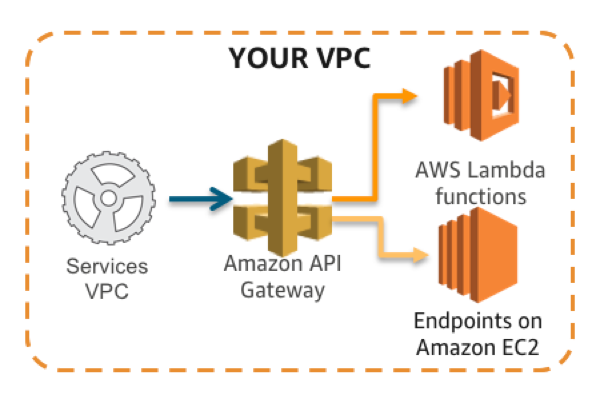 Amazon API Gateway announced the availability of private API endpoints! With private API endpoints, you can now create APIs that are completely inside your own virtual private clouds (VPCs). You can use awesome API Gateway features such as Lambda custom authorizers and Amazon Cognito integration. Back your APIs with Lambda, containers running in Amazon ECS, ECS supporting AWS Fargate, and Amazon EKS, as well as on Amazon EC2. Amazon API Gateway also launched two really useful features; support for Resource Polices for APIs and Cross-Account AWS Lambda Authorizers and Integrations. Both features offer capabilities to help developers secure their APIs whether they are public or private. AWS SAM went open source and the AWS SAM Local tool has now been relaunched as AWS SAM CLI! 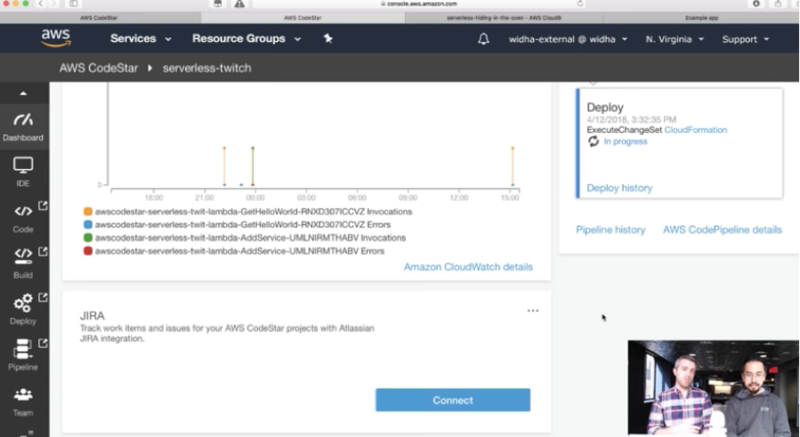 As part of the relaunch, AWS SAM CLI has gained numerous capabilities, such as helping you start a brand new serverless project and better template validation. With version 0.4.0, released in June, we added Python 3.6 support. You can now perform new project creation, local development and testing, and then packaging and deployment of serverless applications for all actively supported Lambda languages. AWS Step Functions expanded into more Regions, increased default limits, became HIPPA eligible, and is also now available in AWS GovCloud (US). AWS Lambda@Edge added support for Node.js v8.10. We’ve been so busy livestreaming on Twitch that you are most certainly missing out if you aren’t following along! Here are links to all of the Serverless Twitch sessions that we’ve done. Keep an eye on AWS on Twitch for more Serverless videos and on the Join us on Twitch AWS page for information about upcoming broadcasts and recent live streams. In partnership with three prominent venture capitalists—Greylock Partners, Madrona Venture Group, and Accel—AWS released a whitepaper on the business benefits to serverless. Check it out to hear about opportunities for companies in the space and how several have seen significant benefits from a serverless approach. Streaming workloads are some of the biggest workloads for AWS Lambda. Customers of all shapes and sizes are using streaming workloads for near real-time processing of data from services such as Amazon Kinesis Streams. In this whitepaper, we explore three stream-processing patterns using a serverless approach. For each pattern, we describe how it applies to a real-world use case, the best practices and considerations for implementation, and cost estimates. Each pattern also includes a template that enables you to quickly and easily deploy these patterns in your AWS accounts. AWS re:Invent 2018 is coming! From November 26—30 in Las Vegas, Nevada, join tens of thousands of AWS customers to learn, share ideas, and see exciting keynote announcements. The agenda for Serverless talks is just starting to show up now and there are always lots of opportunities to hear about serverless applications and technologies from fellow AWS customers, AWS product teams, solutions architects, evangelists, and more. Register for AWS re:Invent now! The events are run by local volunteers as vendor-agnostic events with a focus on community, accessibility, and local representation. Dozens of cities around the world have folks interested in these events, with more popping up regularly. Find a ServerlessDays event happening near you. Come ready to learn and connect with other developers, architects, hobbyists, and practitioners. AWS has members from our team at every event to connect with and share ideas and content. Maybe, just maybe, we’ll even hand out cool swag! Our AWS Serverless Apps for Social Good hackathon invites you to publish serverless applications for popular use cases. Your app can use Alexa skills, machine learning, media processing, monitoring, data transformation, notification services, location services, IoT, and more. We’re looking for apps that can be used as standalone assets or as inputs that can be combined with other applications to add to the open-source serverless ecosystem. This supports the work being done by developers and nonprofit organizations around the world. Winners will be awarded cash prizes and the opportunity to direct donations to the nonprofit partner of their choice. The AWS Serverless landing page has lots of information. The resources page contains case studies, webinars, whitepapers, customer stories, reference architectures, and even more Getting Started tutorials. Check it out!